Uncle Julio’s is offering a Valentine’s Day offer with an odd catch, especially for a night that sees tons of two tops. In an email sent to rewards members, the Mexican restaurant chain is advertising one of its free Chocolate Piñatas for diners. The catch is you have to buy three entrees, though. 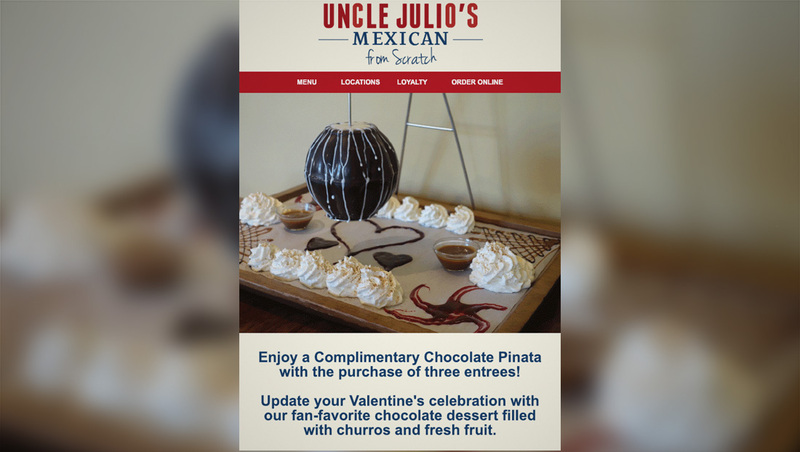 So, we’re not quite sure what Uncle Julio’s is thinking here — bring your kid on date night? Your mistress? Or maybe order an extra entree to take home?